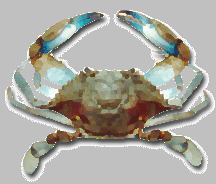 The nation's premier commercial distributor of Live Select Blue Crabs. 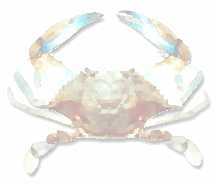 To ensure freshness and quality Live Select Blue Crabs are specially packaged in our state of the art temperature controlled facility and shipped via our own trucks and/or commercial airfreight ~ usually within 12 hours of harvest. The Manning Family has over 40 years experience in seafood processing and distribution. For more information or to set up a commercial account. . .